Colombia is a big country, and extremely diverse. It’s easy to find little-visited places of interest and intrigue tucked in the folds of the Andes or otherwise off the well-trodden path. Some are in areas that have only recently become safe to visit, such as Área Natural Única Los Estoraques. Others, such as Mompox or Capurgana, simply require a bit of planning to get to. The following 7 cool places are well worth seeking out to escape the masses. Once you’ve checked off the A-list of must-dos and must-sees, it’s time to get off the tourist track to discover funky, fun, and fascinating places that offer something unique. For example, you may be surprised to learn that Colombia has Sahara-like landscapes. Many off-the-beaten-path gems have simply been overlooked. 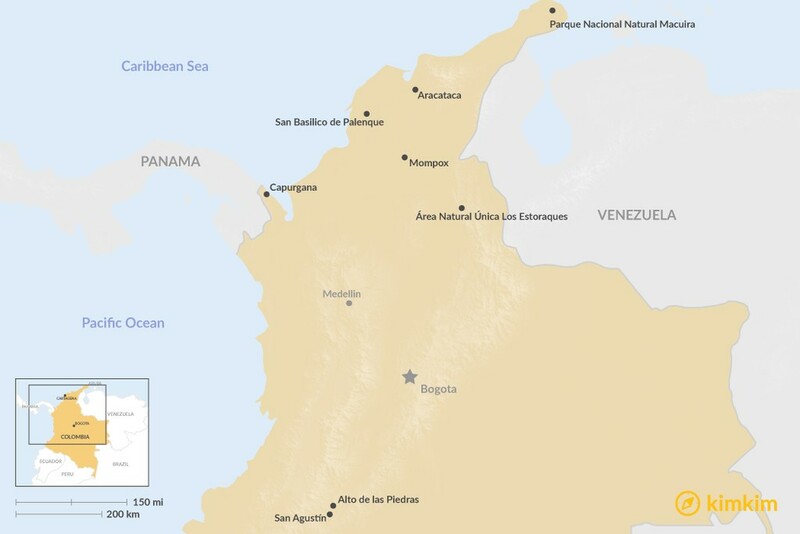 And the 2016 peace deal between the Colombia government and FARC (Revolutionary Armed Forces of Colombia) guerrillas has opened up destinations that were previously wise to avoid. Whether you’re a Gabriel García Márquez fan or seeking an as-yet unsung yet super-cool colonial village, if you have an adventurous spirit, this list has something for you. Examples of the stone statues of Parque Arqueológico Nacional de San Agustín. If you have an interest in archaeology, you'll dig the trove of pre-Columbian historic sites sprinkled throughout the mountains of Huila department. 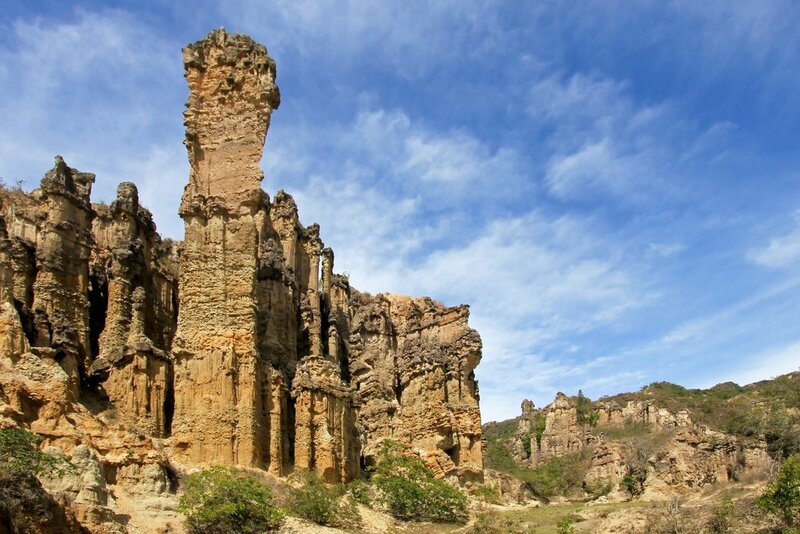 Declared a UNESCO World Heritage Site, the more than 500 caryatids, totems and other huge stone statues comprise the largest group of megalithic sculptures in Latin America. 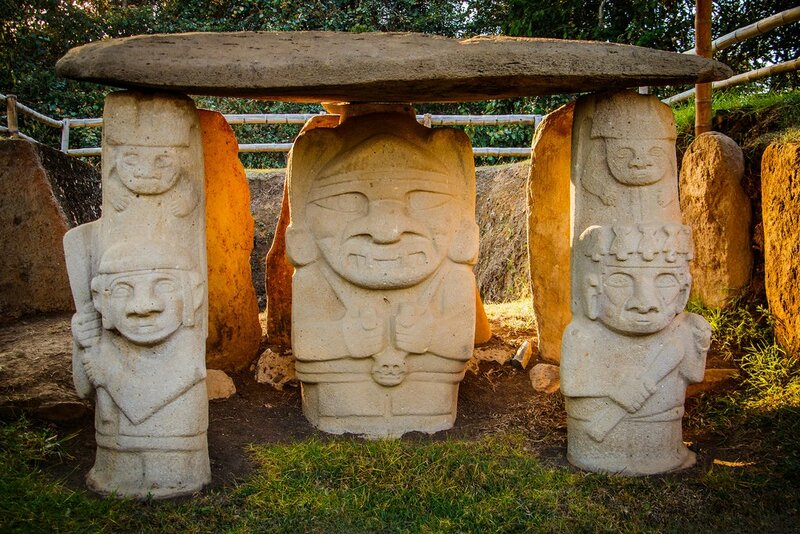 Centered on the town of San Agustín, the sculptures are dispersed at several sites on the mesetas (plateau) to either side of the upper Magdalena valley. The main site is Parque Arqueológico Nacional de San Agustín, with a museum and four concentrations of statues; it’s immediately west of town. Don’t miss the more remote sites, such as Alto de Los Ídolos and Alto de las Piedras; or, further afield, the underground tombs carved into the granite earth at Parque Arqueológico Nacional Tierradiento, at San Andrés de Pisimbalá. Combine a visit with whitewater rafting on the Río Magdalena. Sandy stretch of beautiful beach near Capurgana. 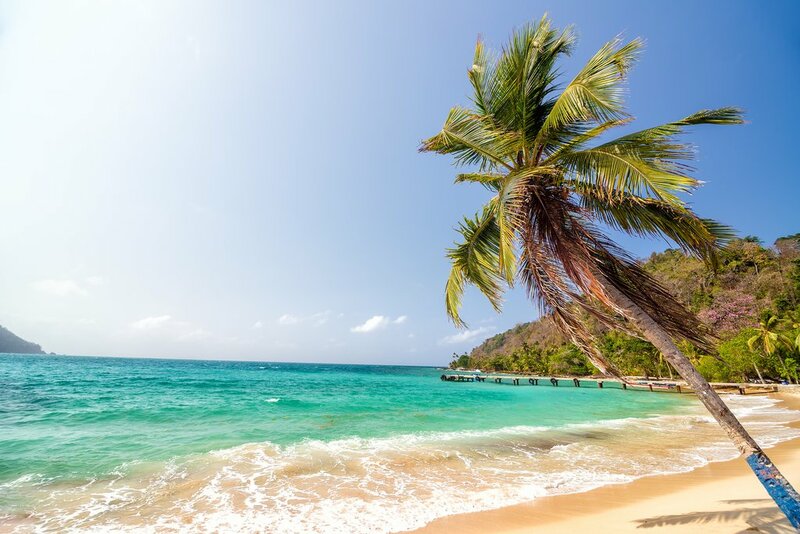 While the sands around Cartagena (and the island of San Andrés) draw the bulk of Colombia’s beach-seeking travelers, the Afro-Colombian fishing village of Capurgana lets you escape the crowds. 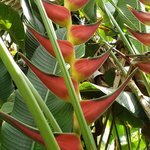 This remote and laid-back, landlocked Caribbean idyll, on the western shore of the Golfo de Urabá, is accessible solely by boat from Turbó or Acandi. You arrive to discover sand-fringed bays and turquoise Caribbean waters backed by the jungled Serranía del Darién mountain range. There’s plenty to do besides lazing beneath coconut palms (watch for falling nuts!) leaning over sugar-white beaches. Reef-protected Playa La Caleta is good for snorkeling. Operators in Capurgana offer scuba diving, plus rainforest hikes and horseback rides. And you can volunteer to help at the nearby marine turtle reserve at Sanctuario de Fauna Acondí, Playon y Playona. The impressive stone spires of Los Estoraques Unique Natural Area. 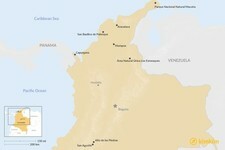 During the 1980s and ‘90s, Norte de Santander province became a major base for FARC and ELN guerrillas, and until just a few years ago visiting the area carried significant risk. That was then… but you may still be the only foreign visitor to come marvel at the stupendous rock formations in Los Estoraques Unique Natural Area. Resembling Bryce Canyon, in Utah, this geological wonder delights with its red sandstone cliffs eroded into fantastical pillars by wind and rain. Reached via Ocaña, the reserve is immediately south of La Playa de Belén, an exquisitely preserved colonial village that’s deservedly a National Heritage town. The park is signposted from here. Trails lead from the ranger’s booth and snake uphill through gullies beneath dramatic formations. Speaking of snakes, watch for venomous snakes while walking. Bring plenty of water and sunscreen – this place bakes! The lovely pueblo is worth an overnight: every house is festooned with hanging planters and painted white with rust-red-trim bases and chocolate-painted old wooden window grills. 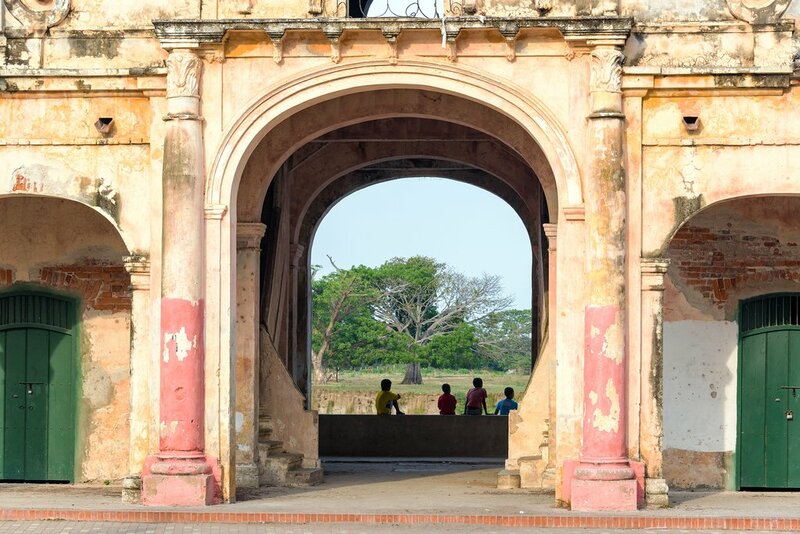 Arches in historic Santa Cruz de Mompox. Time seems to have stopped two centuries ago in the sleepy town of Santa Cruz de Mompox, about 85 miles (136 km) southeast of Cartagena. Founded in 1539 on the banks of the Río Magdalena, it grew wealthy as the main river port between Cartagena and the Andes. In the 19th century, when the river silted and shifted course, Mompox was left to steep, half-forgotten, in the midst of a bayou. It requires planning – and a sense of adventure – to reach. Half the fun of visiting is getting here by the creaky ferry that follows the river and inky black lagoons of the swampy floodplain. Today the town, stained by humidity, resembles a Hollywood stage set, where locals move with a timeless languor. The UNESCO World Heritage City is graced by fine churches and elaborate mansions, many recently converted into chic bars and boutique hotels. Don’t miss Calle Real del Medio, lined with silversmiths’ workshops (talleres de filagría). Although it has many other sites of interest (the Iglesia de Santa Barbara, the Museo Cultural de Arte Religioso, and the fascinating necropolis are standouts), Mompox’s real draw is the slow-paced street-life. Walking through town evokes Gabriel García Márquez’ fictional and surreal Macondo. In fact, he used it as a setting in several of his novels. Looking to get back to nature, far off-the-beaten-path? A great add-on to any visit to the rancherías of La Guajira is to visit the Serranía Macuria, a compact mountain range rising abruptly from the desert of Alta Guajira. 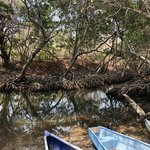 This remote park at the northern extreme of La Guajira is a biogeographical island – a lush oasis with varied ecosystems, from dry tropical forest to dwarf cloud forest at higher elevations. The area has a high degree of endemism – 17 of 140 bird species are unique to Colombia – and is classified as an Important Bird and Biodiversity Area. Cerro Palúa is the literal high point, at 2834 ft (864 m). Trails lace the park, although access to the cloud forest is restricted. The hike to El Chorro waterfall is recommended. With luck you might see monkeys, snakes, and who knows… maybe even one of the two cat species found here. It’s accessed from the community of Nazareth. Getting here by 4WD is a real challenge, especially in the wet season (Sep-Nov), and the area has been subject to banditry. It’s essential to travel with a Wayúu guide arranged through a tour operator. A shrine for fans of Nobel Prize-winning novelist Gabriel (‘Gabo’) García Márquez, this somnolent town is where he was born and raised. Just 50 miles (80 km) south of Santa Marta, it steeps in the heart of a banana belt and in ways resembles Macondo, the surreal village that was a setting for Gabo’s seminal novel, One Hundred Years of Solitude. The 14-room Casa Museo Gabriel García Márquez recreates his grandparent’s farmstead home, where he was raised. His upbringing here helped shape his ‘magic realism’ style, and rooms are themed to his biographical novels. Walking the center of town, too, you’ll chance upon statues and eclectic mementos to characters and moments from his works. Don’t miss the Museo Telegrafo, recalling the period of Gabo’s early life with its' rusty and dusty period miscellany. Be sure to treat yourself to a meal at El Patio Mágico de Gabo, a quaint restaurant that doubles as a mini-museum. Just a one-hour drive from Cartagena, yet isolated amid swamp in the foothills of the Sierrita Montes de María, the small village of San Basilico de Palenque is a true anomaly. It was founded at the close of the 16th century by cimarrones (runaway slaves). Palenque is the name given to their fortified settlements. While the Spanish suppressed other palenques, in 1691 San Basilico was uniquely granted its freedom. Most of the 3500 or so inhabitants of this Afro-Colombian community are descendants of the cimarrones. Cartagena’s flamboyantly dressed palenqueras originally derived from here. And the community preserves many of its oral, musical and other traditions. Many community members still speak palenquero, a unique Creole dialect influenced by the Kikongo language of Angola and Congo. Hence, today it’s a UNESCO Masterpiece of the Oral and Intangible Heritage Site. Try to time your visits for the Festival de Tambores (Drum Festival) in October, when the community celebrates its African roots.